1979 – Death of hurler Christy Ring. 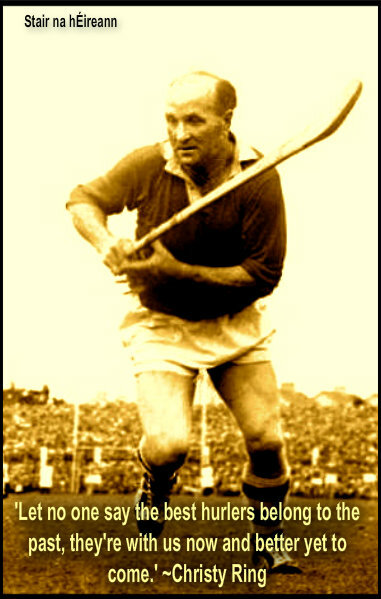 Cork hurling great and possibly the greatest hurler of all time, Christy Ring went to the great hurling stadium in the sky. Born in Cloyne, Co. Cork, the hurling legend won eight All-Ireland hurling championships in a twenty-five year career with the rebel county. 1948 – Birth in Donegal of guitarist Rory Gallagher.